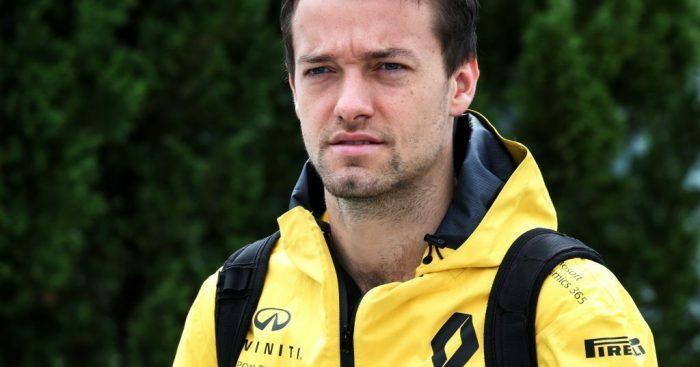 Jolyon Palmer believes Sebastian Vettel can have no excuse for his spin in the Bahrain Grand Prix which caused him to finish P5. Vettel lost control of his Ferrari when under pressure from eventual race winner Lewis Hamilton. Former Renault driver Palmer believes the error was “unthinkable” for a four-time World Champion, and that if a back-marker had have made such a mistake, they would be a “laughing stock”. Sebastian Vettel's performance at the Bahrain Grand Prix has raised serious questions about his status within Ferrari. @JolyonPalmer takes a look. “Vettel’s spin in the race in Bahrain was amateur,” Palmer wrote in his BBC column. “The spin was different to his three at the back end of last year because this one was on the exit of the corner, rather than on the entry or at the apex with a car squeezing him from the outside. “But the reason for it seems to be the same – panic in the heat of battle. “On top of that, in Bahrain, the desert wind can blow sand onto the track. So not only is fluctuating downforce an issue but the track grip can reduce as well. “But this is a weak excuse for a spin of that simplicity. “If a backmarker rookie had spun in the manner Vettel did, they would have been a laughing stock after the race. For a four-time World Champion to do so should be unthinkable.